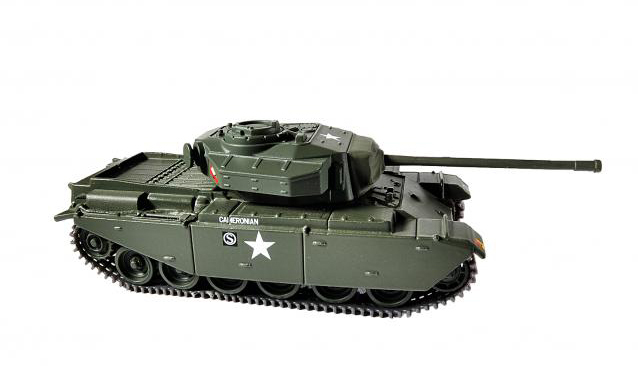 The Centurion, introduced in 1945, was the primary British main battle tank of the post-World War II period. 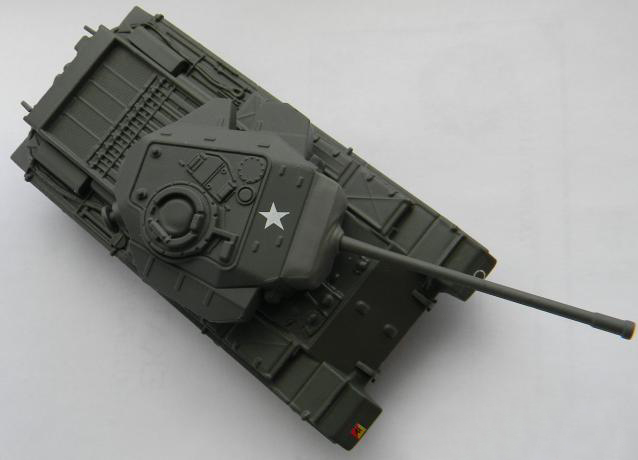 It was a successful tank design, with upgrades, for many decades. The chassis was also adapted for several other roles. 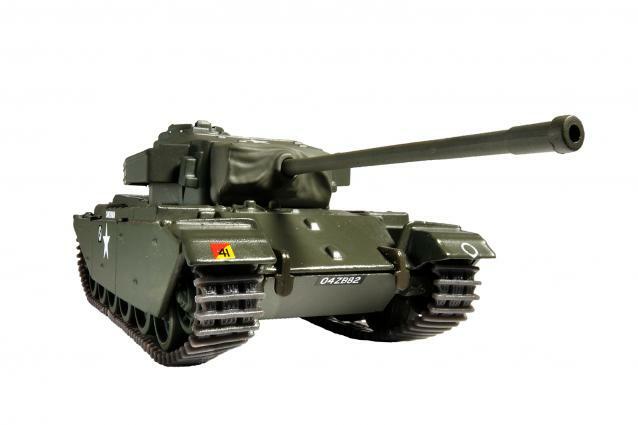 Development of the tank began in 1943 and manufacture of the Centurion began in January 1945, six prototypes arriving in Belgium less than a month after the war in Europe ended in May 1945. 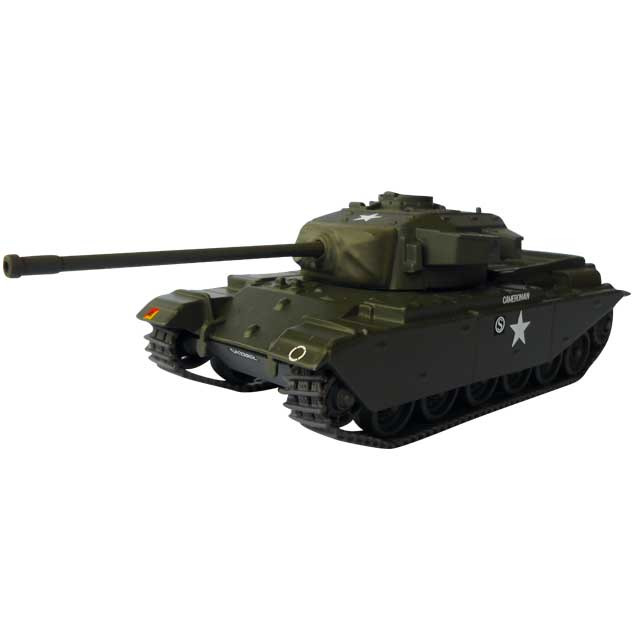 It first entered combat with British Army in the Korean War in 1950, in support of the UN forces. 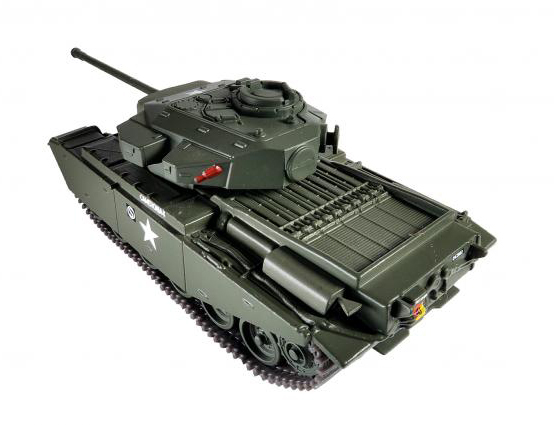 The Centurion later served in the Indo-Pakistani War of 1965, where it fought against US-supplied M47 Patton and M48 Patton tanks. It served with the Royal Australian Armoured Corps in Vietnam. Israel used Centurions in the 1967 Six Day War, 1973 Yom Kippur War, and during the 1975 and 1982 invasions of Lebanon. Centurions modified as APCs were used in Gaza, the West Bank and the Lebanese border. South Africa used its Centurions in Angola. The Royal Jordanian Land Force used Centurion tanks, first in 1970 to fend off a Syrian incursion within its borders during the Black September events and later in the Golan Heights in 1973. It became one of the most widely used tank designs, equipping armies around the world, with some still in service until the 1990s. As recently as the 2006 Israel-Lebanon conflict the Israel Defense Forces employed heavily modified Centurions as armoured personnel carriers and combat engineering vehicles. The SANDF still employs over 200 Centurions. The South African vehicles were modernized in the 1980s, and the resulting model is known as the Olifant. Centurion Mk 3 - Fitted with 20pdr, 2 stowage positions for track links on glacis.